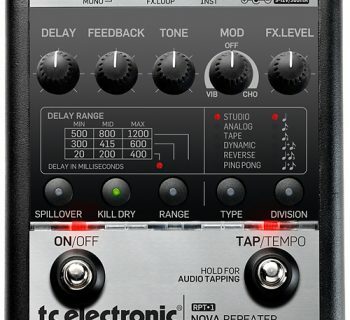 As DAW technology has progressed, so too have the methods to control them. 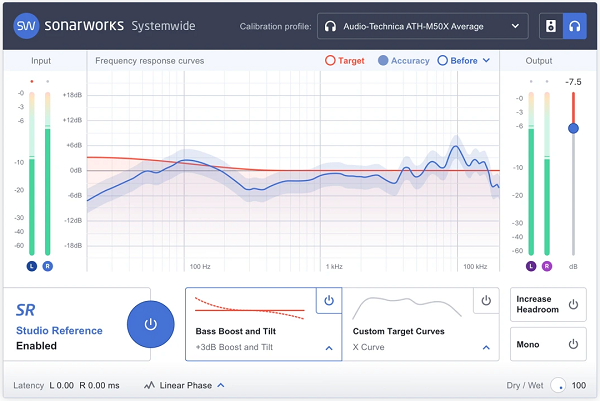 Like keyboard MIDI controllers, the market for DAW control surfaces has become more crowded, but what has been elusive is finding products with just the right blend of build quality, features, and reasonable pricing (like the old joke, where you can only have two of the above). Having had experience with a variety of other controllers in our Pro Tools equipped studios, mostly underwhelming unless you were willing to spend for Avid’s own hardware, we were a little skeptical of Icon’s QCon Pro G2 before it arrived. But within minutes of setup, we were quickly convinced that a sweet spot had finally been discovered! 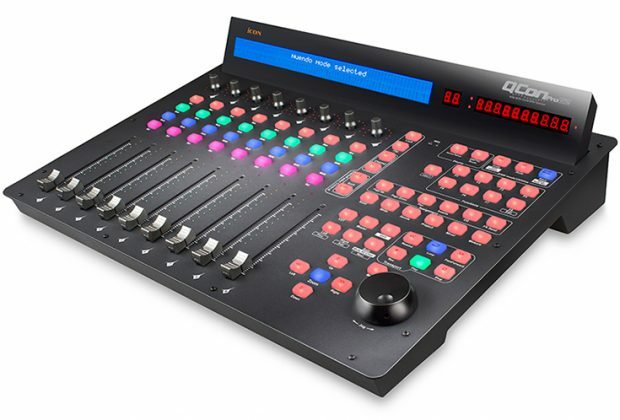 The Pro G2 is easily (and fairly inexpensively) expanded with up to three EX G2 expansion units, each control surface providing eight motorized faders and associated buttons, and the capabilities here extend well beyond simple DAW integration. I think we’ll be purchasing a few of these. 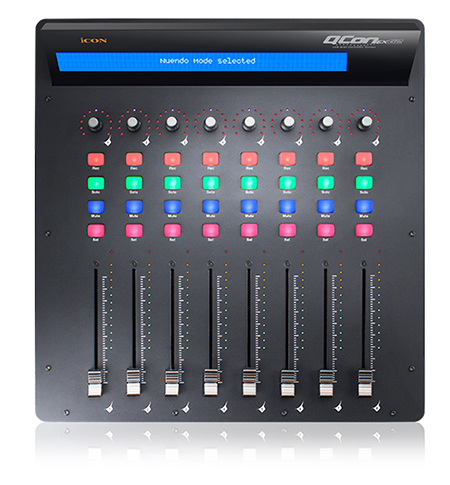 The Qcon Pro G2 is an eight-channel universal control surface with Mackie Control and HUI emulation to support most major DAWs, plus a range of MIDI capabilities that enhance and expand the integration possibilities. The specs are: nine motorized faders (eight channel, one master), eight multi-purpose push encoders, 78 buttons, a jog shuttle wheel, and two foot pedal jacks. 12-segment LED level meters are provided for each channel, and a backlit LCD screen displays channel names and parameter values. A 12-segment LED display is also provided for SMPTE or MIDI beat clock. The QCon G2 comes with large overlays for the right-sided buttons to label them specifically for your DAW. Included are overlays for Cubase/Nuendo, Logic Pro, Ableton Live, Pro Tools, Studio One, Digital Performer, FL Studio, Samplitude, Reaper, Bitwig, Reason, Sonar, and Audition. From the start, we were impressed by the build quality. This is a solid, heavier-than-expected unit! The construction is aluminum and metal, which adds a pro studio feel that is lacking in many competitors’ plastic construction. There appears to have been quite a bit of thought by Icon regarding the design, and there are a lot of nice touches including illuminated transport buttons, illuminated zoom keys plus four direction keys, dual-function encoder knobs above each track (rotate and push in to enter), and eleven-segment LEDs surrounding the encoders (in addition to the twelve-segment LED level metering for the channels). Even the jog wheel provides incremental tactile feedback, which we liked. Overall, the layout is organized quite nicely. You connect the QCon G2 to your computer via USB 2.0, and what is interesting is that when you have the QCon EX (expansion unit), it also connects directly to your computer, no daisy chaining off of the main unit. This means that although they work great together, they also work independently. You can actually use the expansion unit as your only controller (though it has fewer buttons and controls than the Pro G2). Even better, since the QCon has a User Defined mode, the software Icon provides, called iMap, allows you to custom design the entire control surface. We will talk more about that later. The QCon Pro G2 is class-compliant with Windows 7/8/10, and MacOS X . Since the USB port does not supply enough power, you also need to supply power via an included power supply (in-line wall wart connector). Take it out of the box, connect the USB cable and power, and you’re done. Well, almost. 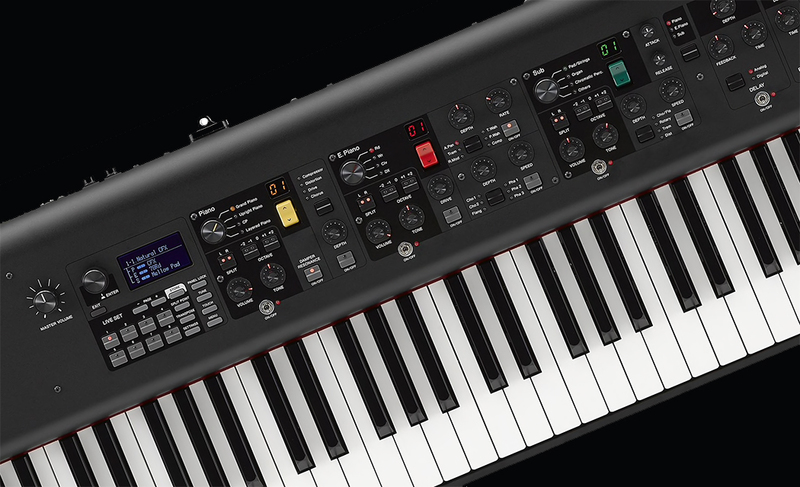 When you first power on, you need to select which mode you want to use: Mackie, Logic, HUI, or User, which is accomplished via the arrow buttons. Once selected, the unit will remember at next power on and default to this, though of course this can be changed. A step-by-step diagram is included for each DAW to show you how to get your DAW to properly communicate with the device(s). In our case, we used Pro Tools 2018, which required two basic tasks: setting up the control surface as both a HUI and MIDI peripheral. Once we did this (very easy)… Eureka! The faders came alive and locked to our session and slid into the corresponding positions. The LCD showed our (abbreviated) track names, and the LED counter was right on with where we were in our session. Not only did all eight tracks work correctly, simultaneously, on the base unit, the additional eight tracks from the expansion unit also worked simultaneously, giving us sixteen faders for hands-on control of our Pro Tools sessions! 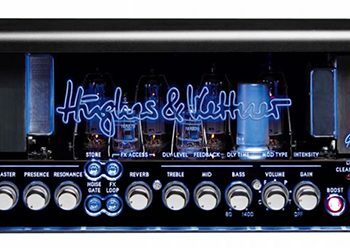 It was nothing short of glorious considering that 16 channels of hands-on Avid hardware would cost us $2,000 for a pair of their Artist Mix surfaces. But wait! There’s more! We checked out the iMap software, which enables you to effectively turn the QCon into the MIDI controller of your choosing. While you can program any part of the surface to what you like in the Mackie/Logic/HUI mode, the real cool stuff is in User Mode. You can program pitches and MIDI CC messages, too! We even found options to send MSB/LSB messages to outboard MIDI gear. One useful thing you could do is configure the base unit to control the usual DAW parameters, and configure the expander to control your soft-synth plug-in parameters via CC messages. Fun stuff! Fortunately, these aren’t too difficult to figure out. The diagrams, without any words—only pictures and arrows, got us up and running. A CD includes software and documentation, though some may prefer a paper manual. The website also has downloadable info as well, though no videos of the product in action. The Icon QCon Pro G2 sells for $549.99, and the QCon EX G2 (expander) sells for $449.99. 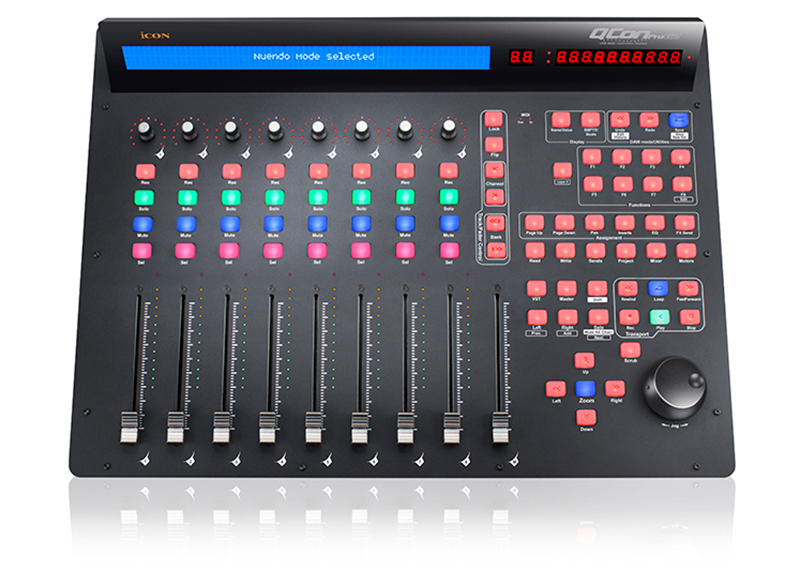 This is a great value for such a well built and fully functional control surface with eight (or more!) motorized faders and universal DAW compatibility. The only question is, do we have to send it back?